Myself and other delegates from groups around the world are working to bring back the gift economy that worked successfully for over 95% of human existence. The World Summit doesn’t have a bank account and we don’t register with any governments. So we created a World Summit peer-to-peer Gift Based Income model (GBI) that empowers us to bypass our failed economic and political systems. So the GBI model will allow delegates to meet their basic needs and free up their time from having to work jobs they are not passionate about, so they can focus their attention and efforts on the most important job of all...saving humanity. We will be unifying groups around the world to come together at our World Summit event in June 2019. Starting now and with the event itself, we are beginning to flip the paradigm to create the more beautiful world that works for everyone. This World Summit Unified Patreon Page is a decentralized system for providing time-freedom to World Summit delegates so they can focus entirely on their part in this world-changing project. You can change or delete your Gift at any time (freedom is important)! This means you will be a patron of the greatest creative art project of all time: creating a new world. You will be helping to support the thousands of “cultural creatives” one on one, in a peer-to-peer, distributed gift-based system. What is the World Summit? In short, the World Summit is gathering changemakers from all over the globe in order to unite people, both virtually and physically, to bypass individual agendas as well as the current social, political, and economic systems that divide us. We do this in the acknowledgement that we do not need permission to unify ourselves and discover our oneness as a great global tribe. 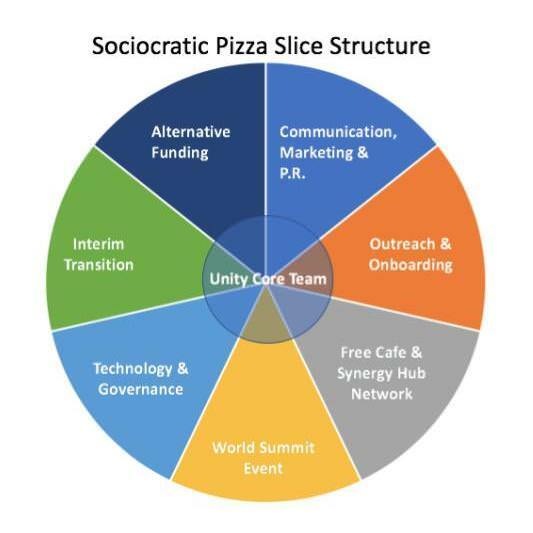 We call this our Sociocratic pizza pie organizational structure. Delegates from different groups work within the functional slices to co-create the World Summit event. This Gift is 2% of the $1100 GBI goal needed to enable this delegate to focus all their energy on creating a better world, thank you. 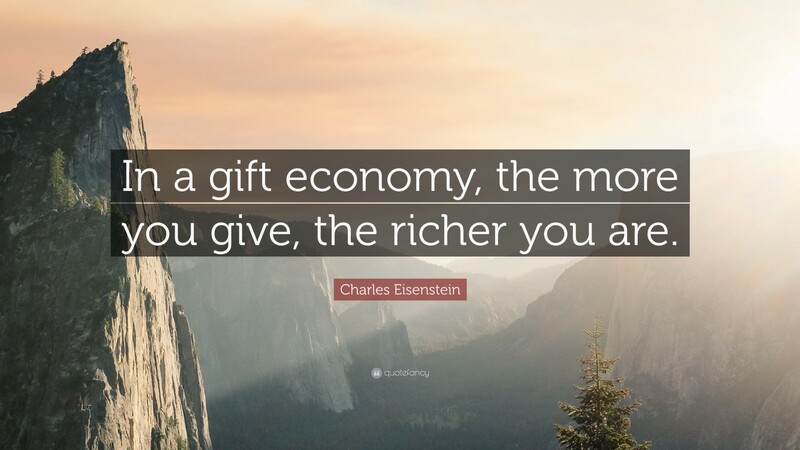 NOTE: you can Gift any amount you choose.The more you gift, the more you are creating a better world, built around gifting and collaboration. Thank you! This Gift is 5% of the $1100 GBI goal needed to enable this delegate to focus all their energy on creating a better world, thank you. NOTE: you can Gift any amount you choose. The more you gift, the more you are creating a better world, built around gifting and collaboration. Thank you! This Gift is 10% of the $1100 GBI goal needed to enable this delegate to focus all their energy on creating a better world, thank you. This Gift is a quarter of the $1100 GBI goal needed to enable this delegate to focus all their energy on creating a better world, thank you. Just four people would be 100%! This Gift is a ONE HALF of the $1000 GBI goal needed to enable this delegate to focus all their energy on creating a better world, thank you. Two of you and you are fully funding a delegate! This Gift covers the FULL $1100 GBI! You can solely enable this delegate to focus all their energy on creating a better world, thank you for believing in a better world for all! I already actively engaged in World Summit's communication, marketing and PR, technolgy and governance workgroups. My goal is to bring the first World Summit event into existence from 2019. I'm also working on solving the water crisis with the ENVIENTA project and give the opportunity for makers, makerspaces and local residents to collaborate on groundbreaking open source innovations in the future.